Namibia is not ready to engage in the proposed African Continent Free Trade Area (CFTA), said the stakeholders present at the national level consultation on the initiative, Namibia Press Agency (NAMPA) reported. A one-day consultation was held on Tuesday in the Windhoek capital where various trade unions, faith-based organisations, academia, youth groups, government officials and the private sector deliberated on the CFTA’s developmental impact on Namibian people, in particular, and the Southern African Development Community (SADC) in general. Sylvester Wullo Bagooro from the Third World Network-Africa, who was a guest speaker at the consultation cautioned the participants on the negative impact of the deadline on which they will have to approve the content of the agreement, which is Dec this year. Some other issues brought forward by Bagooro are the exclusionary nature of the consultation process which according to him omitted, among others, civil society, the private sector and academia. 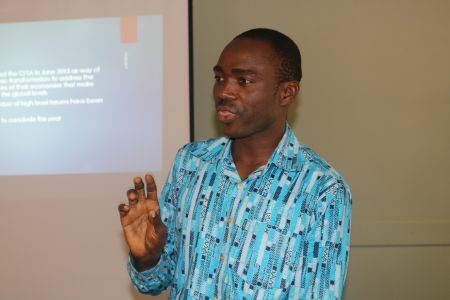 Programme coordinator for the Economic Justice Network, Simon Vilakazi supported Bagooro on the exclusionary nature of the consultations saying civil society and ordinary people are inadequately informed about CFTA issues and yet they are not immune to the effects of the decisions once taken by those in authority. African countries, according to Bagooro, have been liberalising for a period of time under the WTO, structural adjustment, EPAs, regional economic communities without an improvement in the welfare benefits for the people as this forms part of the liberalisation agenda. One aspect for consideration in this regard is the fact that some countries in SADC have asked for derogations after the SADC FTA was launched in 2009, saying it was not working for them. Zimbabwe promulgated a statutory instrument last year closing its borders to spur local production while Malawi asked for derogations, saying they could not implement the FTA to the expected and agreed level. These, according to Bagooro, are some of the concerns emanating from the SADC FTA forum which is a clear indication that more consultations are needed in terms of moving forward with the CFTA. Cementing Bagooro’s doubts regarding the due date of the CFTA was trade negotiations coordinator at the Southern African Customs Union, Albertina Hitiwa who said only 20 per cent of the content of the agreement has been completed to date with less than three months left to the due date. The SADC FTA was established in Aug 2008, after the implementation of the SADC Protocol on Trade in 2000 laid the foundation for its formation.